Pro-Life Academy every Tuesday and Thursday. Humans actually DO HATCH. More on that later. 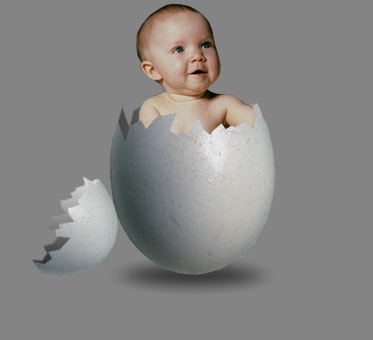 To date we have considered the events leading to and including fertilization of the human ovum (egg). 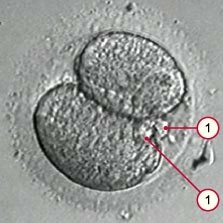 Once fertilized, that egg is called a zygote. From here on out the biology becomes extremely complex at the molecular and organismal level. Necessarily, we’ll take a somewhat broad perspective, but will focus on certain details to make the case for organismal identity from fertilization onward. First, a word about apologetics (argumentation). I’ve published on this blog a series of quotes from embryology texts which state that a new human organism comes into existence from the moment of fertilization. Click here for that list. Many claim that human identity and status come into being only with the formation of a brain, nervous system, cognitions, etc. Immediately these criteria pose certain challenges. How developed must be that brain? What thoughts, kind of thoughts must be present? How does one measure the thoughts of an embryo or fetus? These are mere extensive phenomena, those traits that extend from the fundamental reality of an autonomous, organismal being. Todays lesson will begin to undo some of the rhetoric of denial surrounding the organismal identity of the early human embryo. Beginning with the zygote, which is a single cell, it is a cell unlike any other. This cell is not just another of the 210 specialized cells that make up the adult form of the human. This cell IS a new human organism. It is not a potential human being, it IS a new human being. This new organism is intrinsically ordered toward development into the sexually mature adult form of the organism, and every developmental stage in between. It is arbitrary and capricious, illogical to say the least, that one would pick some developmental stage to suddenly posit human organismal identity. Every stage of organismal development carries with it a unique physical structure and associated functions. The zygote is no different. Contained within the cytoplasm of the zygote, that material surrounding the nucleus and other organelles, are regulatory proteins and mRNA (blueprints for other regulatory proteins) whose job it is to enter the nucleus and upregulate and downregulate (turn on and off) certain genes associated with development. When the cell divides, it will divide along a very well-established equitorial plane. This very first cellular division results from the internal structure of the zygote establishes the “poles” of the embryo (which end will develop into placenta (an embryonic and fetal organ, which is part of the organism in utero) and which will develop into the remainder of the organism which no longer needs the placental organ post-partum. Cleavage from one cell to two. embryo proper, and an outer mass of larger cells, most of whose descendants will go on to form the trophoblast (trophectoderm), which will become the placenta. Thus, the human organism’s body plan begins from the beginning with precisely structured zygotes that divide along precise equitorial planes establishing a polarity that sets up all the rest of development. In the next lesson, humans hatch and have yolks. No kidding. How do you deal with twinning?